With production credits on hundreds of songs, album’s & mixtapes under his belt, PREDATOR is recognized as one of Puerto Rico’s premier DJs, producer and solo artist. DJ Predator has worked with all type of artists from around the world & has more than 20 years of experience spinnin’ concerts, festivals and clubs. 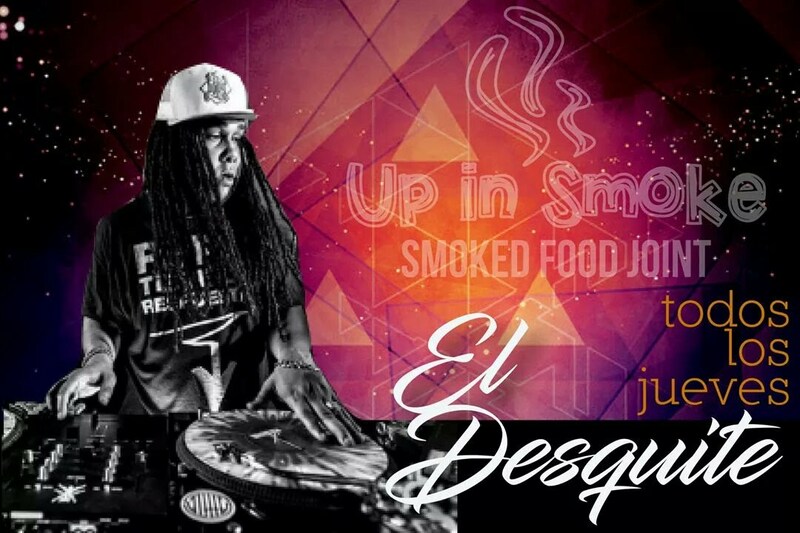 Ahora es los JUEVES, la nueva temporada en #UpInSmokeFoodJoint ¡Comenzamos desde mas temprano!